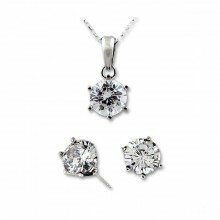 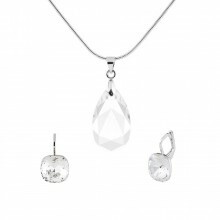 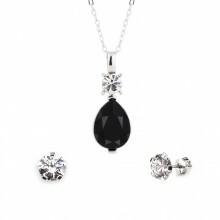 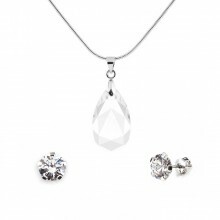 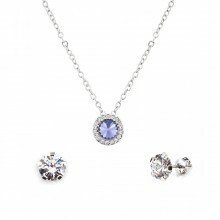 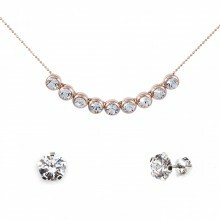 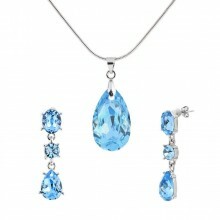 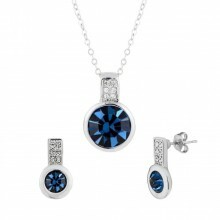 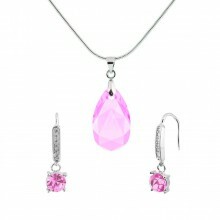 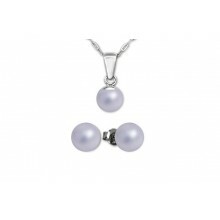 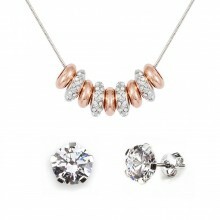 Elegant pendant with crystals from Swarovski. 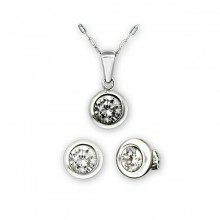 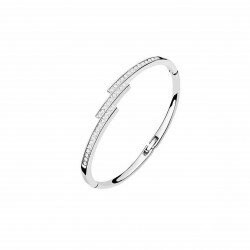 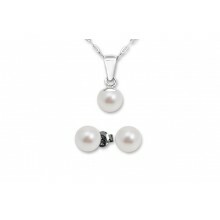 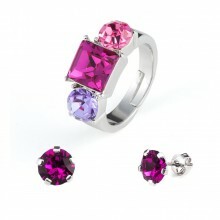 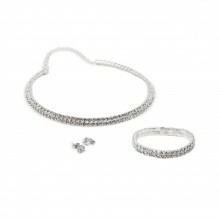 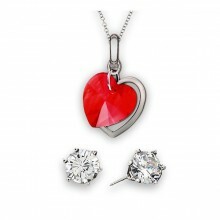 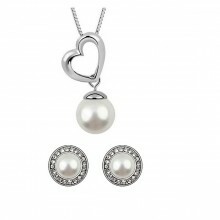 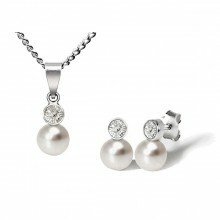 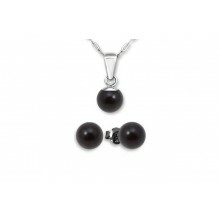 Material: Brass plated 18K white gold and Swarovski crystals. 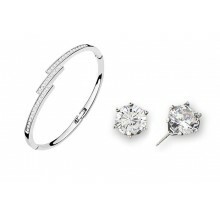 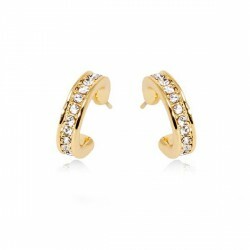 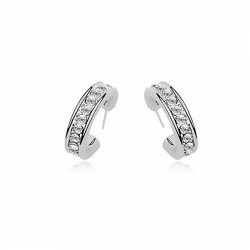 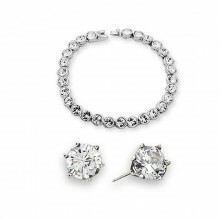 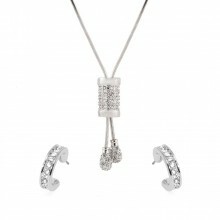 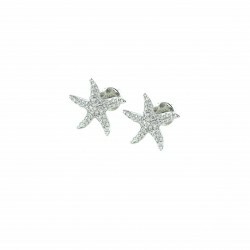 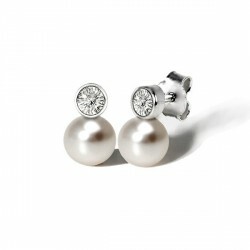 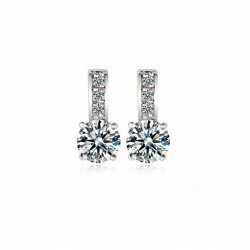 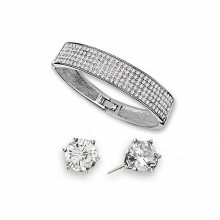 Earrings with crystals from Swarovski and white gold plated 18K. 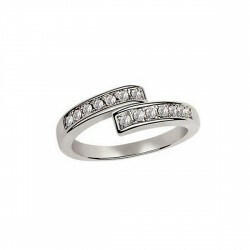 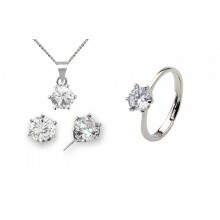 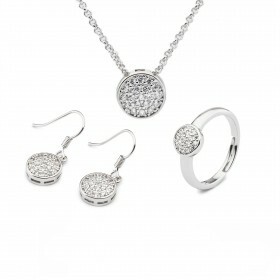 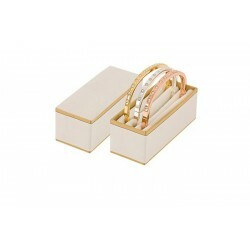 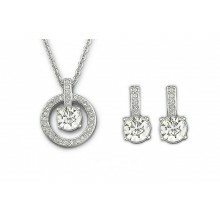 Material: Brass, white gold plated18K and crystals from Swarovski.